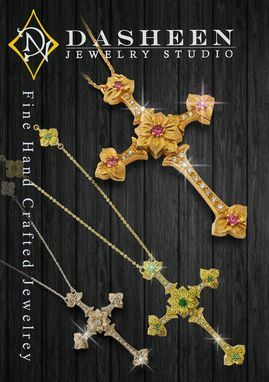 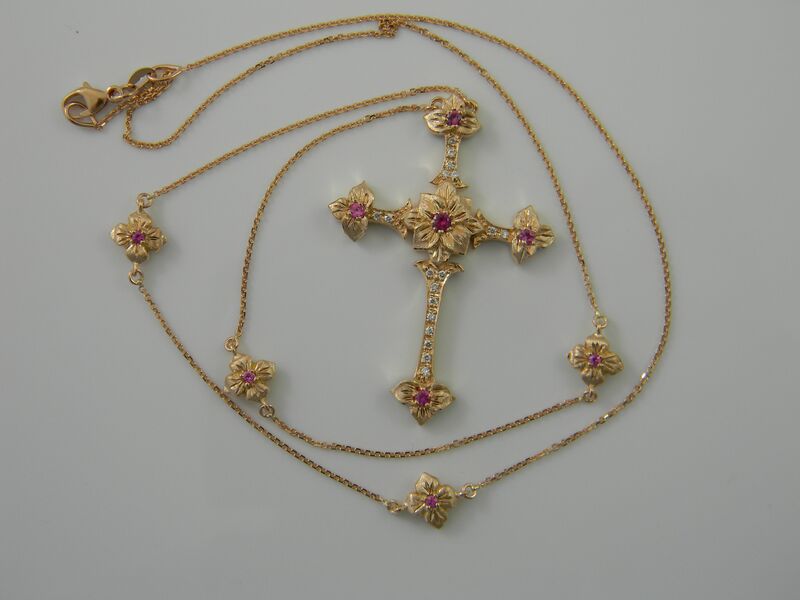 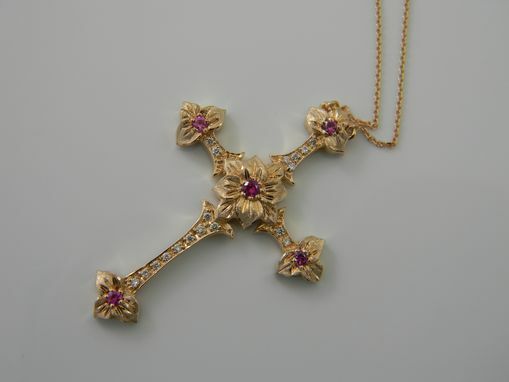 Venetian Blessings Cross Pink Sapphires & Diamonds. 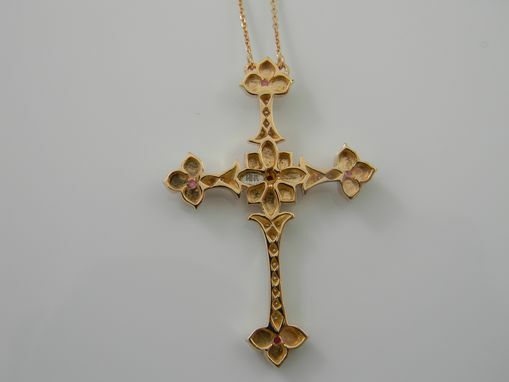 Venetian inspired cross in 18K Pink gold, studded with Pink sapphires 0.34ct tw and Diamonds 0.11 tw. 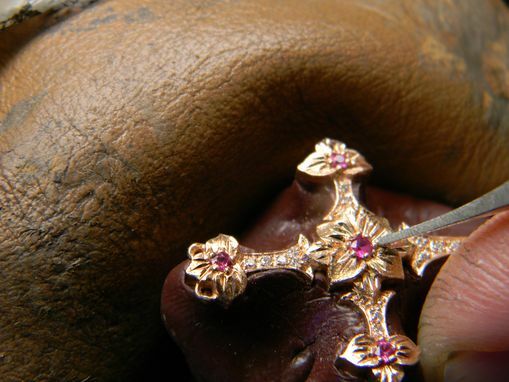 cross size is 40mm in length and 28mm in width. 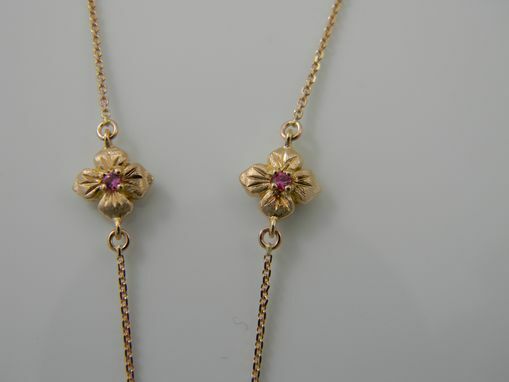 diamonds are set in an antique-look pav'e style & Pink Sapphires in prong/bead old style look. 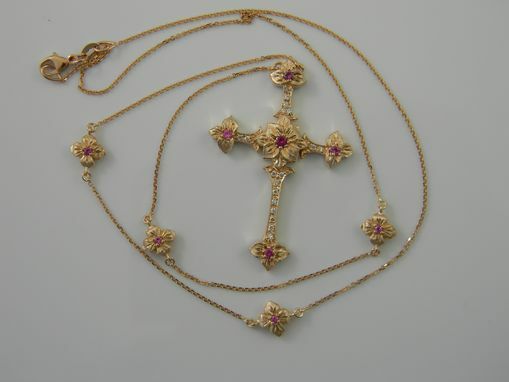 chain is 18'' long with 4 tags that are double sided set with Pink Sapphires.